Fletcher Building chief executive Ross Taylor says it's encouraging to see the Government engaging with the construction industry and the companies that work on the larger projects to understand the present issues and work together to develop a sustainable way forward. "This is important for the industry but equally important for New Zealand, if the country wants to keep a vibrant, robust domestic industry that can deliver medium to larger projects." That sustainable way forward could see Government demanding that industry invests more in building up the construction workforce in return for greater certainty. Cabinet Ministers last week met key industry players to discuss major difficulties affecting them during a boomtime when even the country's largest construction firms have found business difficult. Infrastructure Minister Shane Jones says a lot of firms are in a parlous state. "They are hanging out for the Crown to provide the necessary level of leadership that takes us to a spot that we can recover from the least-cost option and move towards the full economic life cycle of a project. They were very overt when they asked us to do that." Since Mainzeal collapsed five years ago there has been considerable industry turmoil. Hawkins was snapped up by Downer. Fletchers stepped away from bidding on new vertical construction projects after projected losses of around a billion dollars over two years, on prime buildings like the International Convention Centre in Auckland and the Christchurch Justice Precinct. More recently, Ebert Construction went into liquidation. Jones makes clear the Government wants to see changes in the construction sector, "We no longer have the Fletchers of the world who have battalions of men and women and artisans and craftsmen and tradesmen and vocationally-orientated people." He suggests the new model has arisen where big firms are progressively just project managers relying on labour hire providers. "I'm really keen to see what the Government can do in terms of changing that model. It possibly may be zero, but then we do have a lot of power and influence over our procurement policies, and perhaps the (standalone) agency in the future can advise us on how procurement can fulfil those human capital outcomes." A new procurement model which results in greater risk sharing is top of mind for the industry. Says Taylor: "From a Fletcher Building perspective we are very interested in how this progresses as it is one of the things that will inform our future decisions on what we do or don't do in the vertical construction space in New Zealand". ANZ's Paul Goodwin notes that since Fletchers signalled some time ago they were pulling out of vertical infrastructure, the banking sector has started to see a bit more discipline from other construction firms as well. 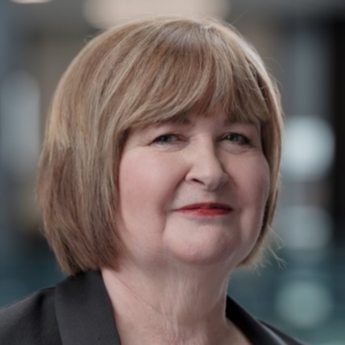 "If you go back over the past couple of years, they were all bidding for everything at margins that would have been OK if they hadn't been taking on all the risk they were taking," explains Goodwin, who is managing director Institutional NZ for ANZ. "But they were taking all that risk with cost escalation and variations and what have you, and the whole thing has ended badly for quite a number of contracts. "A number of firms are now starting to turn away things, so they are starting to exercise the same sort of discipline Fletchers did around their vertical construction business. I think it will be forcing a shift in terms of how procurement or the developers are engaging with the construction firms." "Projects come with all types of risk," adds Paul Buetow, Partner in Kensington Swan's Construction and Major Projects team. "Political risk as to whether a project will go ahead. Timing risk as to when it will be undertaken. There is also consenting risk, management of stakeholders and procurement risk — will the model that is going to be adopted be one that a contractor is prepared to entertain? And, of course, there is contract risk. Risk should lie with the party best able to manage it, but this is often not the case." The recent reliance on novated contracts where, typically, construction firms have shouldered too much downside risk, is a major issue. "I think certainly the Government's got a role to play here in terms of how they procure projects," says Goodwin. "It can't just be all about price, you've got to recognise there's got to be something in it for the other guy." "Whereas the past few years it's just been all about screwing down price, which puts risk on to the other guys so that your side of the fence is fine and the other guy doesn't look that flash but that's not your problem. "That's very shortsighted. I think there's emergence of a recognition that that is not sustainable. "Certainly within the construction side of the business there is a greater discipline now too around price and risk allocation and not taking on so much work they can't resource up these projects properly. "All the construction firms, by and large, are very reliant on local supply chains. They haven't built up international supply chains which allow them to scale up quite quickly. And that's been part of the problem." ANZ reports the construction industry is dealing with significant challenges. Firms are experiencing financial strains and there are reports of unsustainably thin margins. At the same time, the industry is struggling to keep up with demand in the face of capacity pressures. Labour shortages are a much-cited problem, but problems run deeper; as well as issues with contracts and boom-bust dynamics, the productivity performance of the industry is poor and needs to be addressed. It warns that in light of these challenges, it will be difficult to achieve further increases in construction activity from here, despite strong demand.